No matter that excursion you have in mind, the Yamaha Wabash adventure gravel E-bike will handle it with ease. 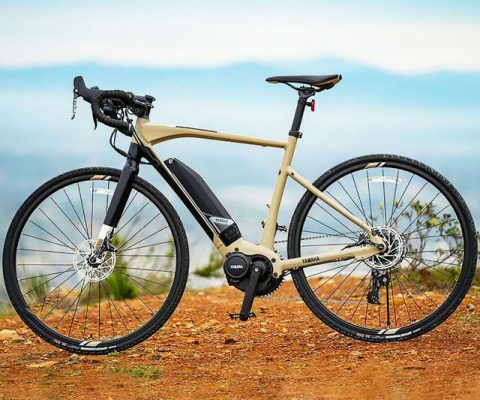 It boasts a 500-watt battery, an electric drive system with 4 levels of pedal assist, and an on-board display that provides pertinent riding info like speed and distance. 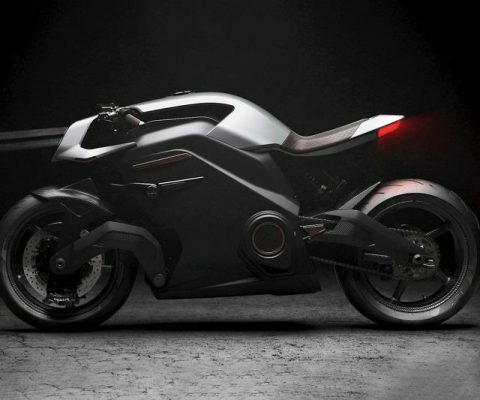 The Arc Vector is the world’s most advanced electric motorcycle! The bike is comprised of three parts – the motorcycle itself, a smart helmet with on-board HUD, and haptic body armor that can vibrate to physically alert you of possible hazards on the road. 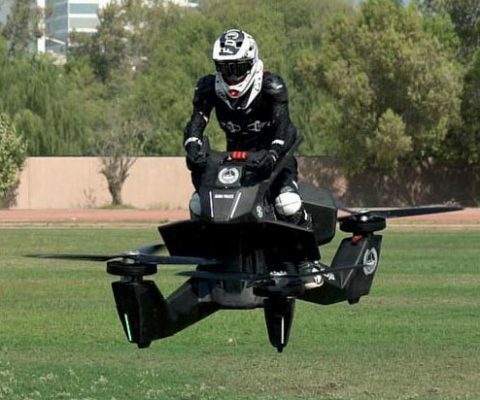 Hoversurf is breaking the mold with their new eye-catching Hoverbike. This astonishing aircraft can fly at heights of 16 feet for a period of up to 25 minutes and features a drone-like design with a body and driver experience similar to a personal water craft. 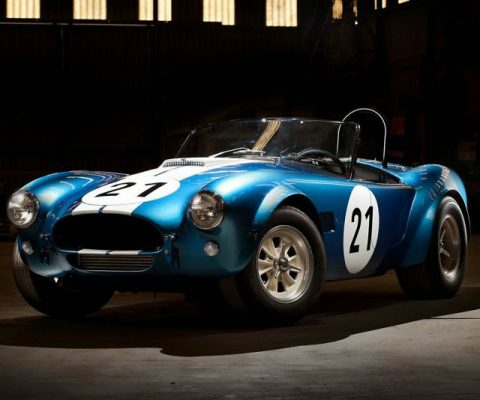 Shelby Legendary Cars is giving you a chance to own a piece of automotive history by bringing back two iconic models – the Shelby Cobra Daytona and the Shelby FIA Cobra. Each of the 50 cars produced for this limited series will bear a CSX2000 Shelby serial number. 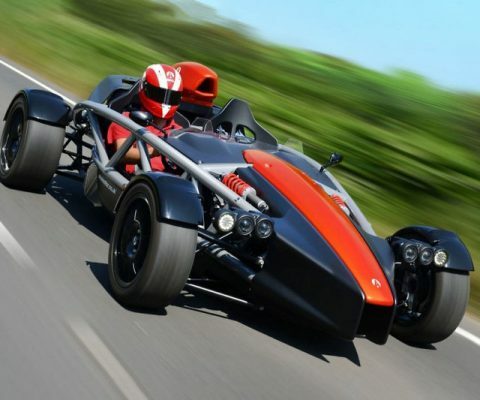 Transform any empty road into your own personal playground by hitting the pavement behind the wheel of the Ariel Atom 4. It features an incredibly strong yet lightweight chassis, and boasts a 306 horsepower motor that tops out at a respectable 162 miles per hour. Give your offspring an out of this world gift with the Transformers Optimus Prime plushie. 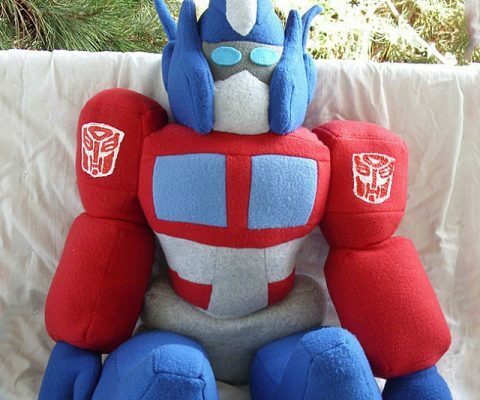 This soft and cuddly Transformer is made from felt in the likeness of the great and powerful leader of the Autobots – Optimus Prime. It makes a great gift for fans of the classic cartoon. 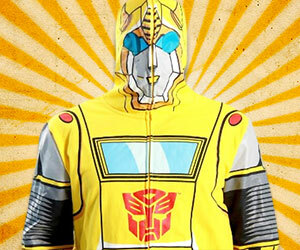 Add a bit of spark to your plain wardrobe and show support for the Autobots with the fashionable Transformers Bumblebee Hoodie. This comfy sweater is decorated to look like the fearless Autobot warrior when zipped all the way up. 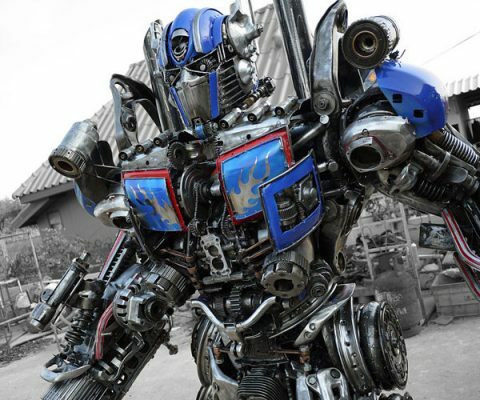 Upgrade your humble abode’s curb appeal by bringing in this recycled metal Transformer statue. 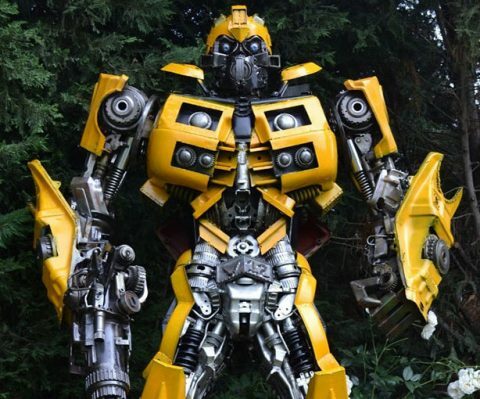 This metallic work of art is composed entirely from recycled automobile and bike parts in the likeness of the iconic Bumblebee. 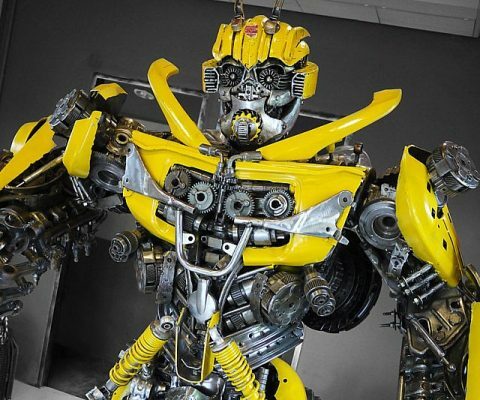 Beef up your home’s security and ward off burglars and solicitors by enlisting the services of the recycled metal Bumblebee statue. Standing over six feet tall, it towers over most human peasants and is intricately designed with dozens of discarded scrap metal parts. 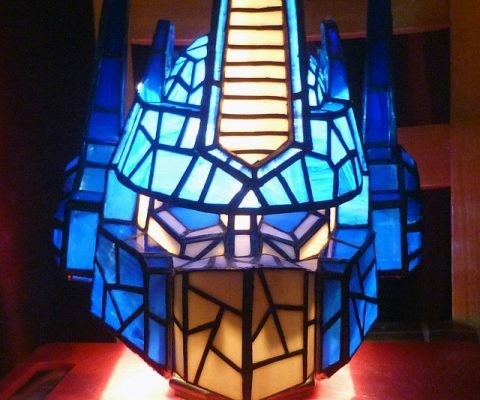 Get ready to roll out from the darkness of the night – into the light upon flipping the Optimus Prime stained glass lamp on. This beautifully crafted Transformers lamp captures the mighty leader of the Autobots, Optimus Prime in all his glory. Lawn gnomes just became obsolete. 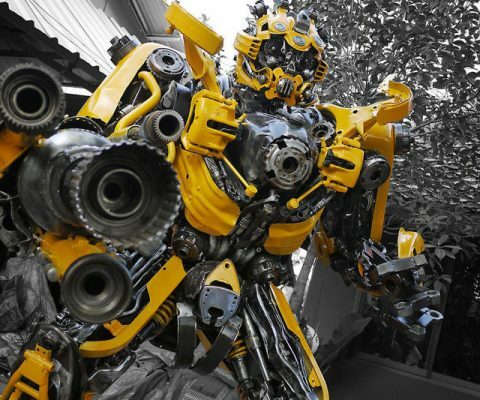 Protect your home from solicitors and burglars with this life size Transformers Bumblebee statue. Standing over seven and half feet tall, this Transformers statue will easily become your favorite home decoration. Spend some quality time with the Autobots by adding the giant Transformer to your backyard’s landscape. This colossal statue stands at nearly six and a half feet tall and features a powerful and intricately designed body made from recycled materials.